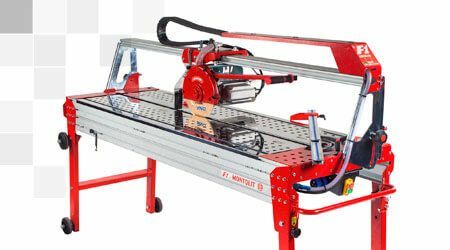 Do not waste time and improve your work, with professional equipment and electric and manual machines for cutting and drilling stone materials. 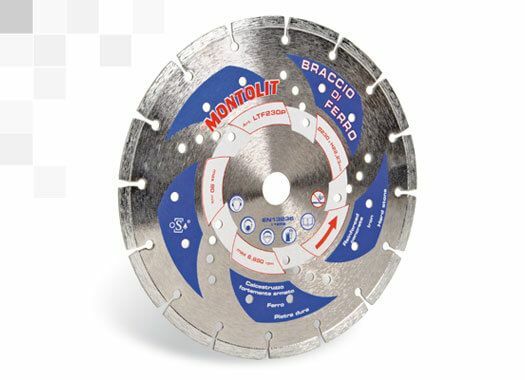 Brevetti Montolit Spa has been a leader for more than 30 years in the field of diamond blades and tools for cutting and processing porcelain, ceramics, marble, granite, glass and any other stoneware. 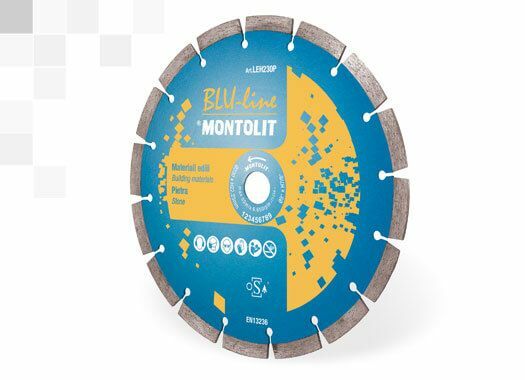 Montolit was the first professional tile cutters manufacturing company in the world to introduce diamond blades and drills into their product portfolio. 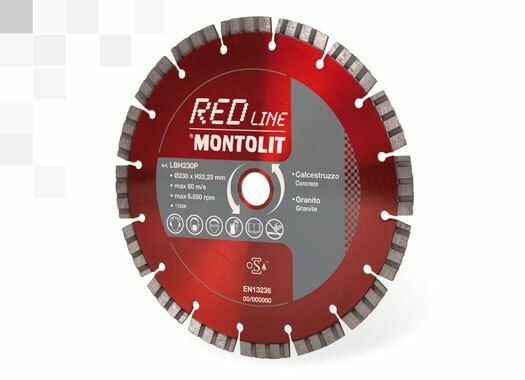 Over these years, following the development in construction materials and the evolution of building technologies, we have come to design and produce super-performing diamond tools, able to cut, even dry, any natural or artificial material such as the new and very hard ceramic tiles. 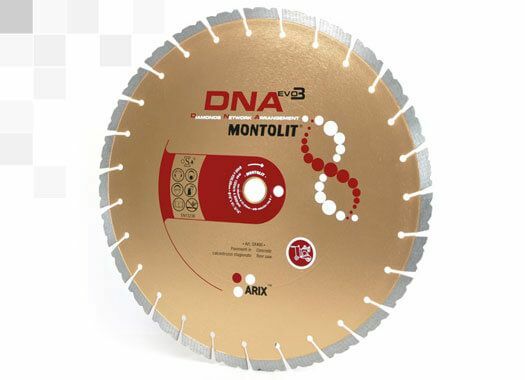 To date, Montolit professional diamond tools are known and appreciated in over 100 countries. 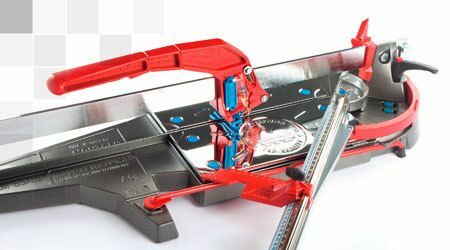 In order to properly deal with porcelain stoneware, installers have the need to have specific and high performant diamond blades. 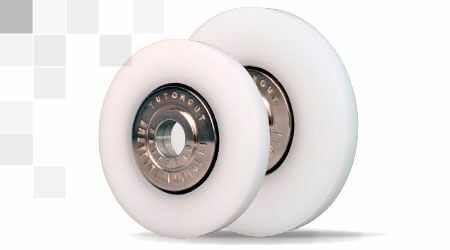 The variety of tiles and their specific features require in almost all cases dedicated solutions. 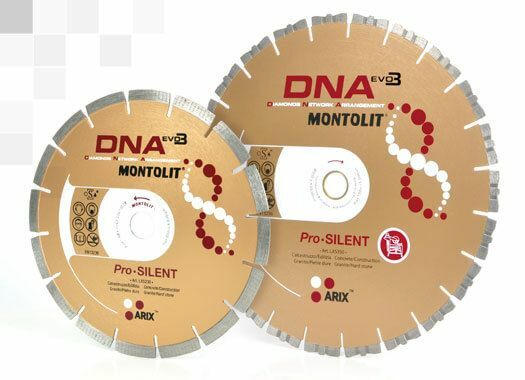 For this reason, the range of Montolit diamond tools is very wide and it is always possible to ask Montolit technicians for advice on the type of blade most suitable for their project. 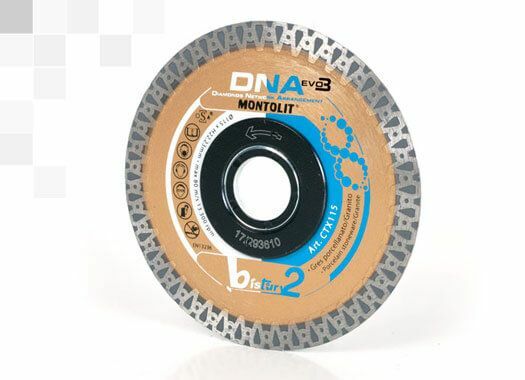 But how does a new diamond blade come to life? 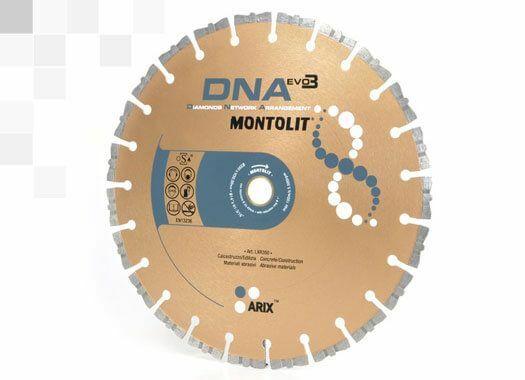 Montolit develops its own diamond tools in cooperation with the end user and with the major ceramic manufacturers. 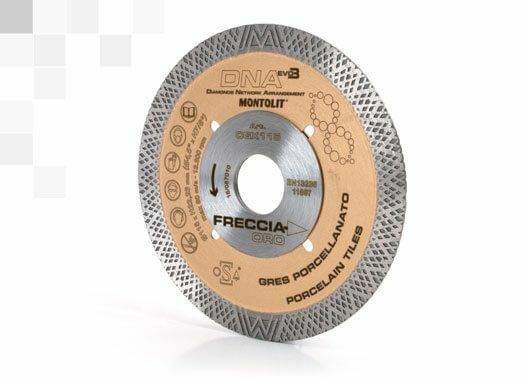 An intense and frequent dialogue between our technicians and the main players in the market allows us to launch new diamond blades every 6 months, which solve cutting and drilling issues related to the latest tile generations. 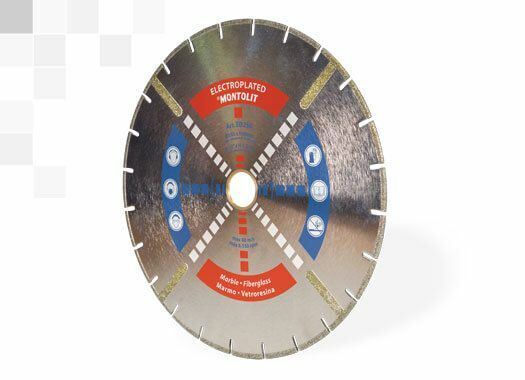 Going into the details of the product range, the main families of diamond blades are developed to cut ceramics, porcelain stoneware, vitrified tile, granite, marble, travertine, Glass tile and mosaic, natural stone, cement, asphalt, fiberglass. 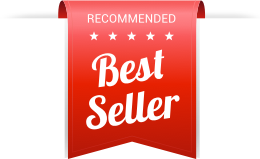 Another product that is becoming very popular is the mixed mosaic composed of alternated ceramics, glass, stone, aluminum, steel, porcelain, granite or marble tesserae. 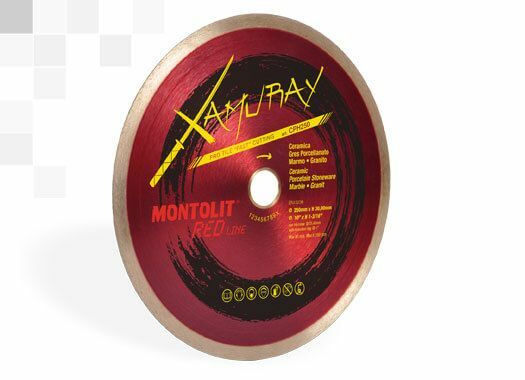 Also for this particular product Montolit has created a range of specific diamond blades. 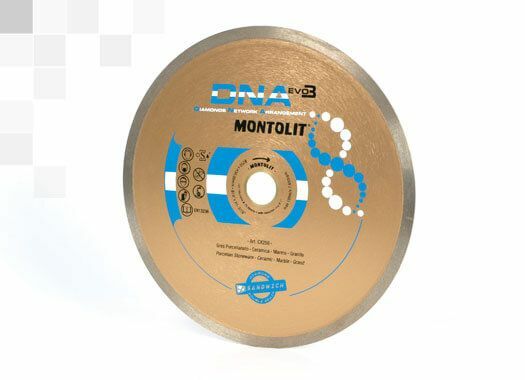 Today, the DNA line of diamond cutting discs is our top performing group of products, with results from 30% to 60% better than the other diamond blades on the market. 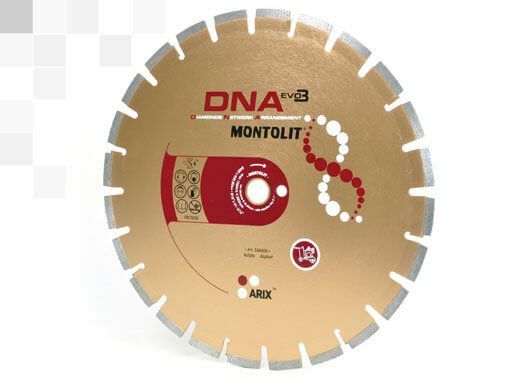 The DNA technology (diamond organized arrangement) allows the production of tools in which diamonds are present in the exact quantity and in the best geometric arrangement for a given material. 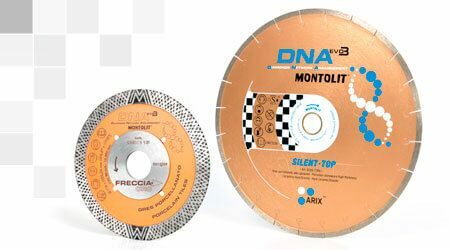 All the diamond products we produce are suitable for use on various tools (angle grinder and electric tile cutters). 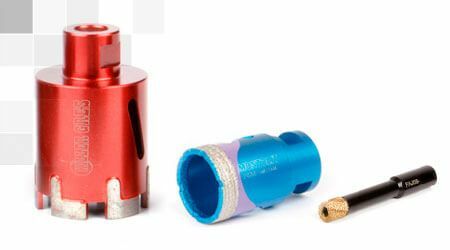 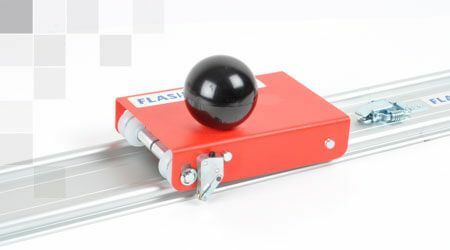 Within the wide range of products, there are super-professional, essential and premium level lines, able to meet the needs of different targets in different markets. 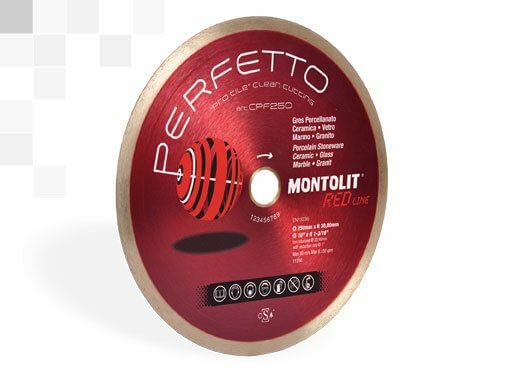 Montolit also acts as a technical partner for manufacturing companies, construction companies and individual professionals. 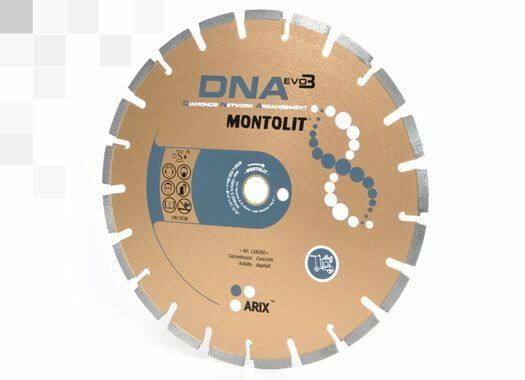 The company’s laboratories are available to analyze specific issues related to innovative materials, and to quickly develop new customized diamond blade solutions.